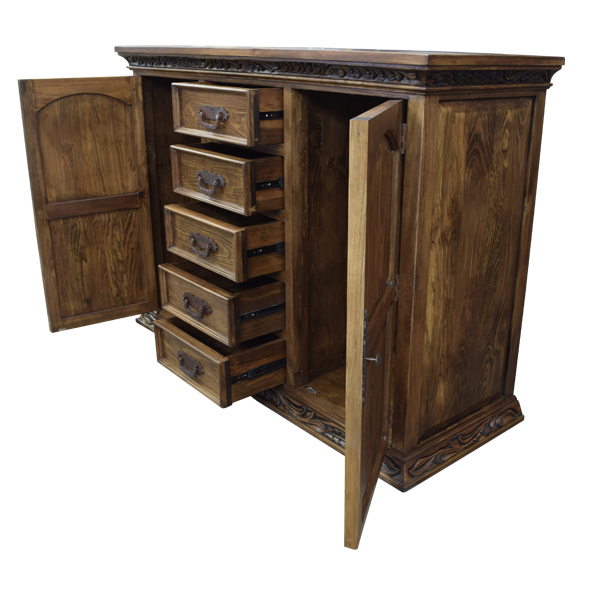 This handcrafted, Western style dresser is adorned with beautiful, hand carved designs created by our skilled craftsmen. 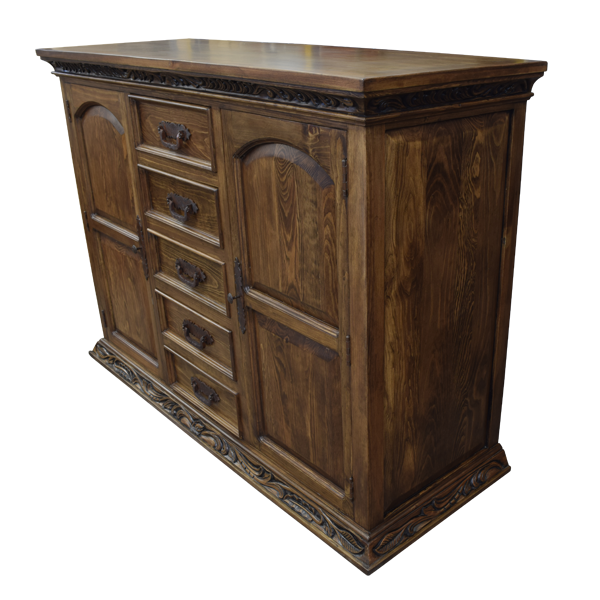 The dresser has a large, wide top, with a classic, straight top rim. Under the rim are marvelous, hand carved, geometric designs. 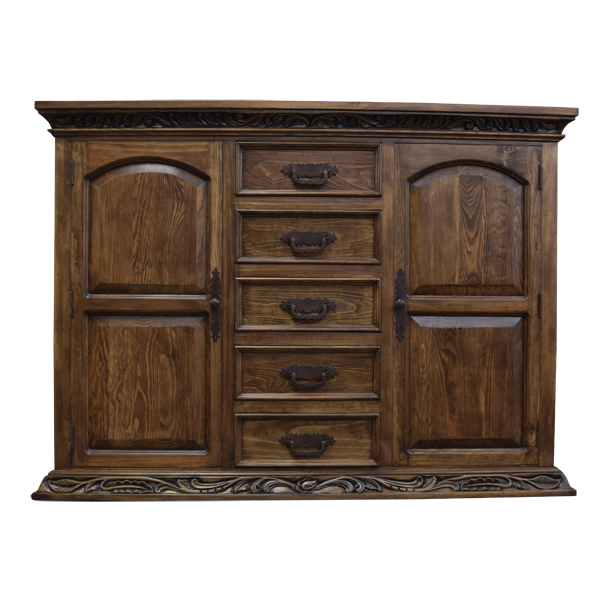 On each side of the front of the dresser is a rectangular cabinet door with geometric designs on its front, and each cabinet door has a hand forged, iron, pull handle on its side. 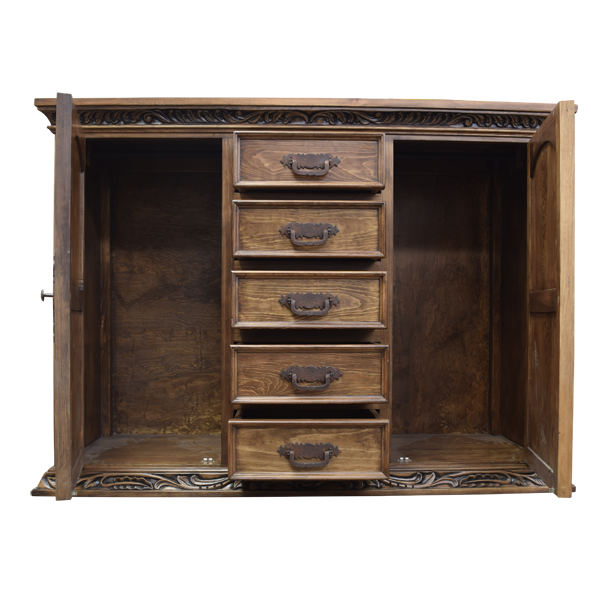 Centered in the dresser are five, small, vertical, rectangular drawers, and each drawer has a hand forged, iron handle in its center. The inside of the dresser has practical storage space, and we can include shelving in the design. Each side of the dresser is enhanced with a decorative, rectangular panel. The dresser rest on a solid wood base, and the base is embellished with exquisite, hand carved, floral and scroll designs.. Made with the best, sustainable, solid wood available, it is 100% customizable.